The arrival of Chinese phonemakers has compelled Indian phone manufacturers such as Micromax and Karbonn to up their game too. As per International Data Corporation (IDC) numbers at the end of 2015, the share of Indian phone makers shrank to 38%, from 43% at the end of 2014. What Indian phone makers have lost, the Chinese brands such as Xiaomi, Gionee, Oppo, Vivo and Honor have captured. This is why some have even started offering additional features such as a custom UI or multi-language support to broaden their appeal with the more localized flavour. Karbonn’s Quattro L50HD ( ₹ 7,786) is one such phone that offers multiple Indian languages and even offers a custom UI of its own. Yet the phone fails to impress. The Quatrro L50 HD is a compact-looking smartphone with a plastic exterior. Despite the plastic finish, it doesn’t look cheap or poorly built. Karbonn has given it some neat touches. The back is slightly curved around the edges and the corners are nicely rounded too. We also liked the matte finish on the back. Overall, it feels quite reassuring in the hand. The fact that it weighs just 134g makes it all the more apt for users who prefer small screen phones. 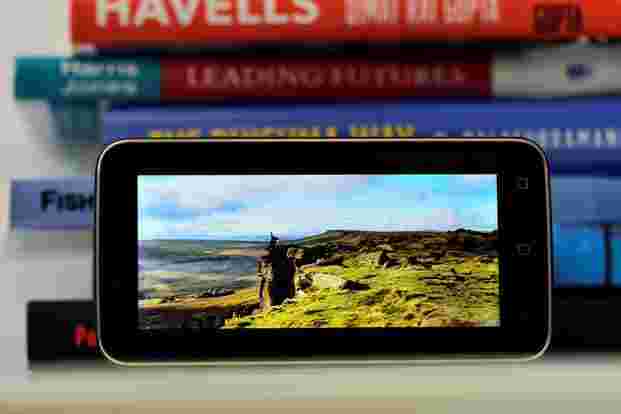 The 5-inch display has a screen resolution of 1280x720p.The colours look natural and stay that way even when viewed from odd angles. This makes the display ideal for watching HD movies, YouTube videos and the usual web browsing and social media. The screen feels a bit restricting for playing full time games. But the casual ones such as Temple Run Oz or Smash Hit look pretty good. The only niggle is that the screen catches finger prints and dust quite regularly. There is a night mode that changes the screen colour to warmer tones to minimise glare form screen on the eyes. Like most Indian phone makers Karbonn didn’t have a particular user interface (UI) for its smartphones for a long time. We have seen them hop from one UI to another with every new smartphone they launched in the past few months. 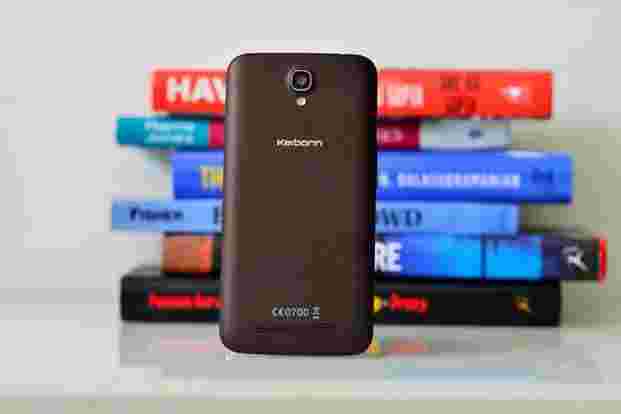 The Quattro L50 HD is one of their first phone that runs a full-fledged custom UI called Karbonn Kandy 1.0 over Android 5.1 (Lollipop). It doesn’t have as many features as the Vibe UI or the MIUI, but it automatically identifies the apps and puts them under different categories accurately. Also, it supports more Indian languages than any Chinese phone. You can use it in 10 Indian languages including Hindi, Bengali, Tamil and Gujarati. 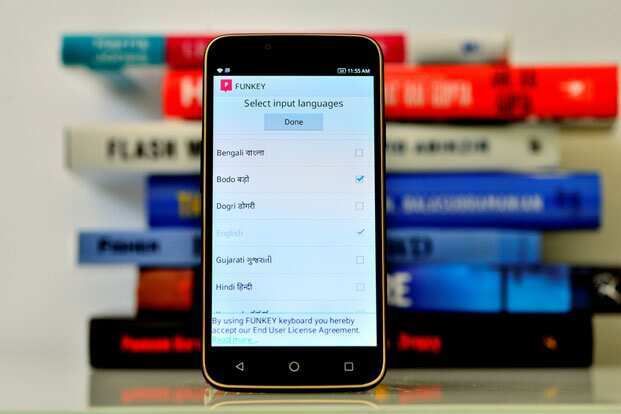 The keyboard supports upto 21 Indian languages such as Dogri, Manipuri, Maithili, Nepali, Santhali and Urdu apart from the earlier mentioned languages. The phone runs on MediaTek 6735 quad-core processor with 2GB RAM which is adequate enough for casual or first time smartphone users. While it handled most mainstream tasks at a time very well, we noticed a lag while switching between apps and when we had more than 6 to 8 apps running simultaneously. The phone offers 16GB of storage and can accommodate upto 32GB of microSD cards. It comes with two micro SIM slots and supports 4G networks in 2300 and 1800MHz band. The battery backup is average. The 2,600mAh battery can muster a day’s backup at most if you don’t strain it too much. The phone comes with a 13-megapixel camera, with touch to focus and flash features. 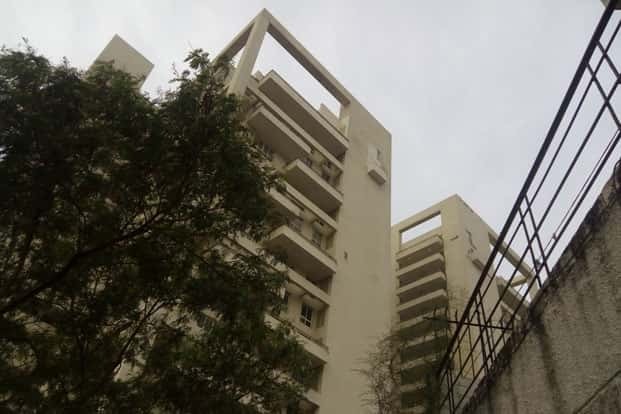 This might seem a lot on paper, but in real life results the picture quality is average and even in daylight shots, the picture looks a bit blurry. It also feels a bit slow and you need to hold it steady to get good shots out of it. It tends to darken non-focus areas and colours also look a bit faded in object under focus. A lot of these faults could be because of incorrect image processing, but the user will end up being disappointed. 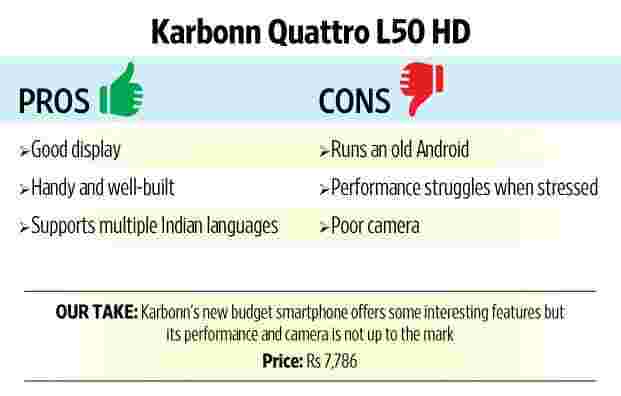 Karbonn Quattro L50 HD is meant for first-time buyers who are in the market for an affordable smartphone. The multiple-regional language support is a bonus, building on the solid basics of a good display, clean design and a reassuring build. However, if you are looking for a more steady performance, a funkier interface, better camera and a finger print sensor as a security measure, we would recommend the Coolpad Note Lite ( ₹ 6,999).